I’ve just seen the first Academy Award worthy film of 2017. Christopher Nolan came under fire during last week’s San Diego Comic-Con for suggesting that Netflix was a risk to the film industry, particularly theatrical productions. That’s debatable and creating some noise. As an aside, I do believe Netflix is opening the doors for more diverse story telling and new talent which is a good thing but back to Nolan’s new film. I think what he really meant to say is that you shouldn’t see Dunkirk on your iPhone, that it must be seen on a huge screen in an IMAX theatre so you can feel as though you are on the beach with your heart in your throat. Yes, that’s definitely what he meant, because he has made a film specifically for this experience. Whatever damage Netflix might be doing to major theatrical film productions, Nolan has certainly balanced the score with this masterpiece. Filmmakers are bound to be inspired by this film. I’ve heard on the news that a 98 yr old British war veteran who was on the beach in Dunkirk saw the film and was very moved by it. 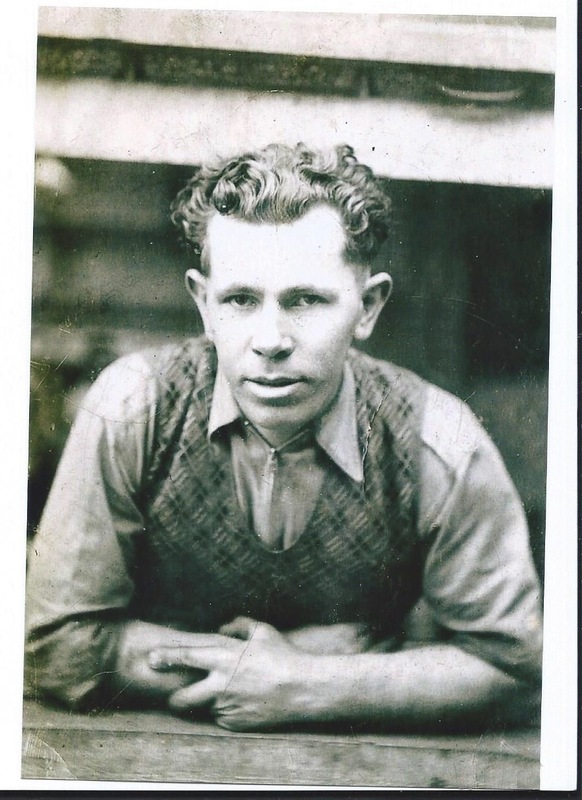 My Great Uncle, a career soldier, was there and never really spoke about it. All we have heard is that he came home without many clothes on his back and now I know why. But he came home. This film is an experience, a memory to be shared. You can almost taste the salt water, feel sand on your tongue and most of all, feel frustration, fear and hope. All of this is amplified by one hell of a riveting musical score masterfully composed by Hans Zimmer. I may be going out on a limb here in suggesting Hans is a lock for an Oscar without seeing any other contenders at this point, but it would have to take something pretty extraordinary to change my mind. This is not a talky film. You have no idea who these soldiers are, where they are from, or whether they have families. Save for a flash of a wedding ring, an accent, the rank of a uniform and an occasional name and title, you have no additional information about the characters in the film. And this doesn’t matter. You’ve been helicoptered in to a point in time in history. You don’t know them, but you feel them and you can imagine what they are thinking. So much is said without being said in this film. There is an intimacy that is created through action, nuance, texture and expression. They say the eyes are the windows of the soul. I want to rewatch the film just to analyze close-ups and eyes. The theatre I saw it in was one of those older IMAX threatres where the seats are situated very close to the screen. If you are from Toronto, think about the screen at Ontario Place and The Science Centre. I really felt as though I was in the screen, on the beach in the action. Perhaps it was too close and maybe I missed something. I need to see it again. I haven’t felt this way since Mad Max : Fury Road. I need to see it again soon. 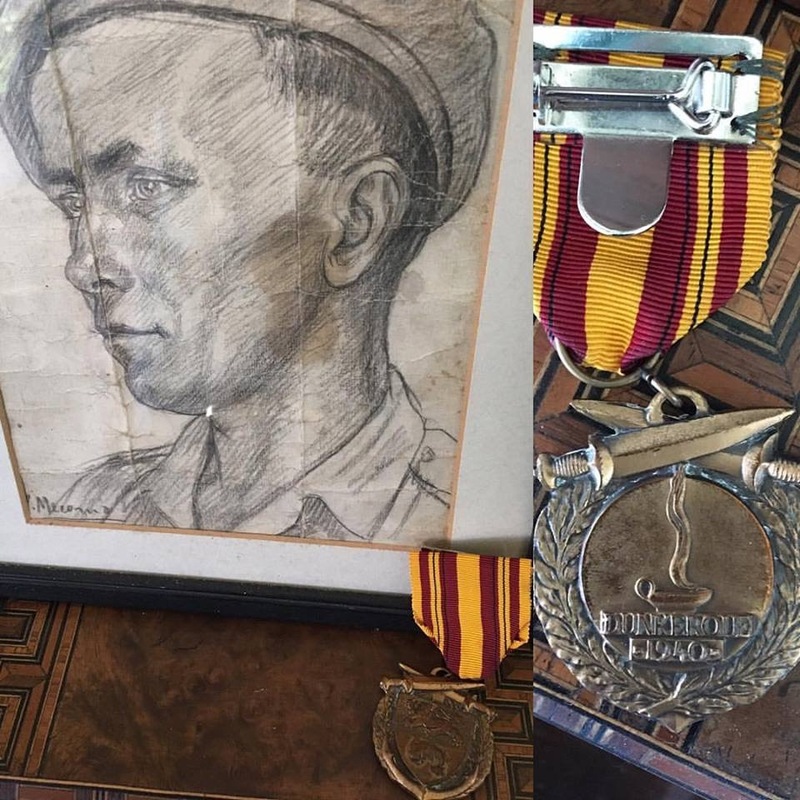 My Great Uncle Jack (Northern Ireland) – A drawing of him by one his brothers in arms, his medals and a photo of him from the 40s. He served throughout WWII from beginning to end (Europe and North Africa) and well after the war itself (Middle East). I was blessed to have known him towards the end of his life.